Brief Synopsis – Two best friends get involved in International espionage when they discover that one of them was dating a spy. My Take on it – This is a film that I recall seeing the trailer for a few months back and smirked a bit when contemplating the premise, but wasn’t a storyline that seemed interesting enough to see as soon as it came out. I’m truly glad that I waited to see this film, because it’s really terrible and doesn’t work on any level. 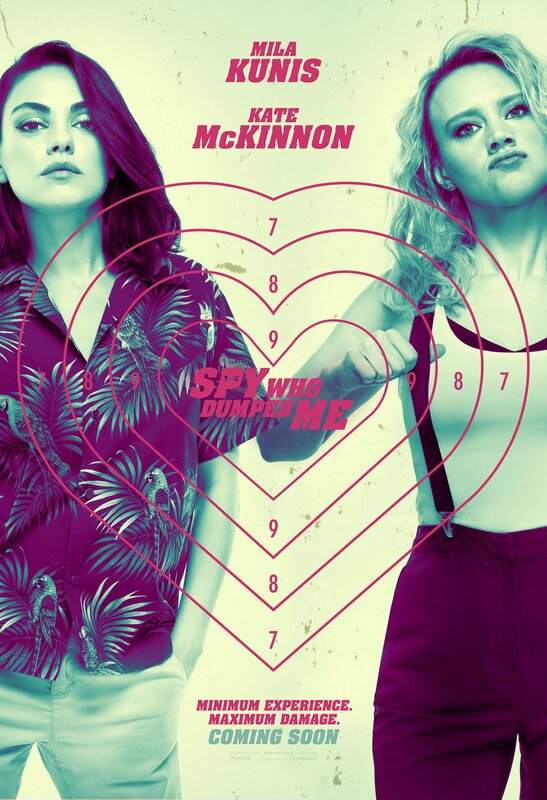 The comic points in the film are largely unfunny but the ones that do manage to work has mostly to do with the comedic talent of Kate McKinnon who is able to take scenarios and find a way to deliver them in such a humorous way even if it wasn’t actually written that way. The story is extremely thin and flimsy and makes no sense what so ever. The actually idea that these two characters could possible get into so much trouble yet still through a comedy of errors survive it all is mind-boggling because they are both quite inept. The action is choreographed quite well here and if the narrative had actually made more sense it might have been easier to get through, but since that isn’t the case, it was quite difficult sitting through this film mostly due to the annoying characteristics of almost all of the characters introduced. As a spoof of espionage films, this is far from being among the best and one could do much better with so many better choices like the Austin Powers films or even the Johnnie English series (which also has it’s issues, but at least is funny). Bottom Line – Terrible film that works on occasion solely due to the comedy of McKinnon. The story itself is too flimsy and nothing really makes any sense. The idea that these two characters could get anything done is totally absurd to even think about. The action is choreographed quite well but the lack of an interesting narrative made this a chore to get through because most of the characters introduced are actually quite annoying. Doesn’t work as a spoof of espionage films at all.